If you’re fond of the extensive Twin Cities park system, you could probably find Norah Austin walking or biking along the many paths within and throughout Minneapolis. Austin is a sophomore student at South High School and a passionate member of the newsroom; she believes that newspaper is a great way to combine her interests in creative writing and her desire to uncover and appreciate the community at South High School. To her, South High is rich in support and acceptance of different people; newspaper is a powerful way for her to explore the powerful connections and experiences forged by that culture. Not only does she write for the newspaper, but she also enjoys writing short stories about people in her own time. The interplay between her creative process and prolific prose is complemented and inspired by her interest in historical literature and scientific non-fiction; her favorite book is The Poisonwood Bible by Barbara Kingsolver, but you can also find her reading the Harry Potter series. Not only does Norah enjoy reading and writing about people, but also drawing them too; her artistic style hovers around the divide between cartoony and realistic. 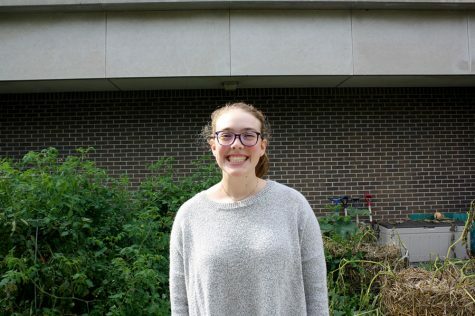 Her plan for the rest of high school is to curate her existing interests in writing and drawing, but also learning and growing within and from what South High has to offer.